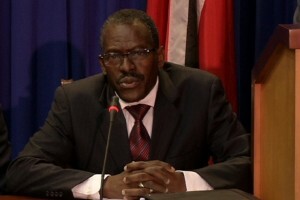 PORT OF SPAIN – Some 128 Trinidadians have been linked to terrorist activities in other countries, but Trinidad and Tobago is no terrorist state, National Security Minister Edmund Dillon has declared. Dillon, who condemned the statement, one day after Prime Minister Dr Keith Rowley slammed Nance, said “based on our information at this point in time, there are almost 130 nationals who have left T&T involved in terrorist activities in countries away from T&T. The Minister admitted that the issue was a challenging one but he assured that the Government was working with partners to crack down on the problem. Prime Minister Rowley was not so measured in his response to Nance in a statement issued Monday. “Mr Nance’s broad and simplistic statement is not supported by fact and ignores the robust and substantial national security cooperative partnership between T&T and the US,” he said. Dr Rowley insisted that Trinidad and Tobago’s effort to combat terrorism could not be called into question, maintaining that his Government would continue to partner with the international community to tackle terrorism. Nance had also charged that ISIS had significant numbers in the Bahamas but Prime Minister Perry Christie had denounced the claim as false. “I was astonished by it. In the region we have heard from time to time of the people going to the Middle East in connection with the fighting going on there, but never have Bahamians been named as being a part of that. And so I was astonished to hear the claims…because it is not true,” he said.